Boris Johnson’s favoured scheme for trade after Brexit could cost businesses up to ?20bn a year through extra customs declarations, HM Revenue and Customs has warned. The ‘maximum facilitation’ system, or max fac, seeks to avoid border delays by using new technology and by pre-approving big exporters through a trusted trader scheme. By making customs declarations away from the border the system seeks to reduce disruption and travel times. But those declarations are themselves an expensive administrative task for businesses. “There were almost 200 million intra-EU consignments in 2016. [Each declaration is estimated to cost] between ?20 and ?55. For ministers we have settled on ?32.50 per customs declaration, so 200 million at ?32.50, that is ?6.5bn,” said HMRC’s chief executive Jon Thompson, in a hearing with the Treasury Select Committee. In total he estimates the annual cost would be between ?17bn and ?20bn per year. By contrast the ‘new customs partnership’ (NCP) proposal, favoured by other ministers, would see the UK collecting tariffs on goods bound for EU markets, with businesses claiming rebates later. This would mean fewer customs declarations and less administrative expense. HMRC estimates those costs as up to ?3.4bn per year. “It delivers the free flow of goods without customs declarations, it avoids those costs of the highly streamlined [max fac] model,” Mr Thompson said. The cost to HMRC of implementing max fac would be around ?250m per year, largely in its work processing the extra customs declarations. NCP would cost less at ?180m, after setup costs of ?700m. Mr Thompson said the focus in that system would be keeping costs as low as possible so businesses would find it worthwhile to reclaim the tariffs. 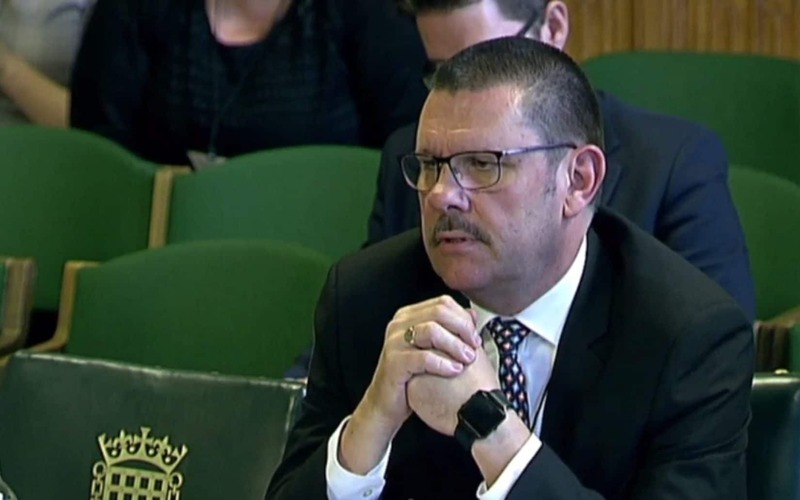 Mr Thompson added that HMRC currently has 1,100 staff working on Brexit projects, including working out the practicalities of these two potential post-Brexit systems and the ‘no deal’ option. HMRC has re-prioritised its resources to cope with this, slowing down work on 39 other projects. Mrs Morgan, who was a prominent figure in the Remain campaign, suggested it would be easier “if Parliament voted for a customs union” to avoid either of the options being debated by the cabinet. Business group the British Chambers of Commerce said the cost is "shocking". “One of the reasons why the figure is so shocking is that this is the first time the Government’s customs proposals are being discussed in terms of real impacts on businesses. It was always a logical consequence that not being in a customs union would mean completing, and paying for declarations – and whilst it is not something that will give businesses cause for celebration, they at the very least need to know that there are costs and processes they should anticipate," said Anastassia Beliakova, the BCC's head of trade policy. Ian Duncan Smith called the ?20bn figure "absurd"
Mr Thompson’s figures received short shrift from Number 10. The Prime Minister’s official spokesman said the ?20 billion cost was "not a figure that I'm aware of". 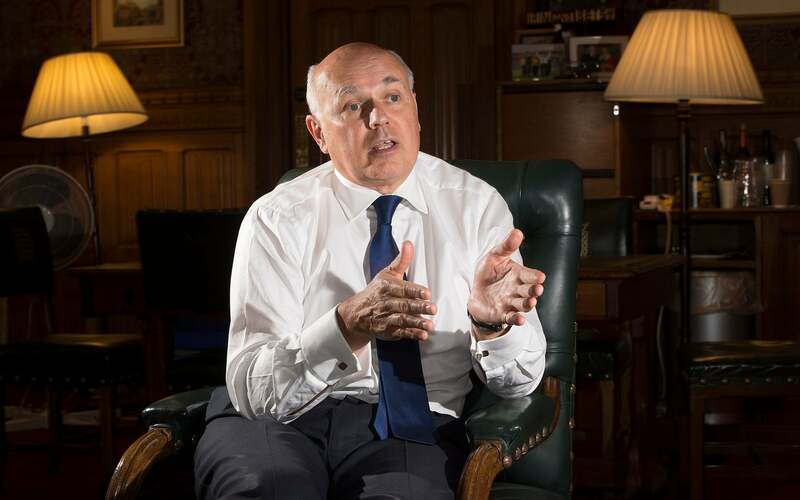 Iain Duncan Smith, the former Tory leader and senior Eurosceptic, said the figure was “ludicrious, an absurd number”. He said: "It does not make any sense, it is literally a set of assumptions that have no basis in reality. That is the truth. I don't where the hell they got this ?20bn from - it is an absurd figure to nominate as a cost. "This looks like a deliberate attempt to push people towards the customs partnership. It’s is nonsense, HMRC has not done the work on this. "There are very few exports will require rules of origin costs as only the big supply chains need that.